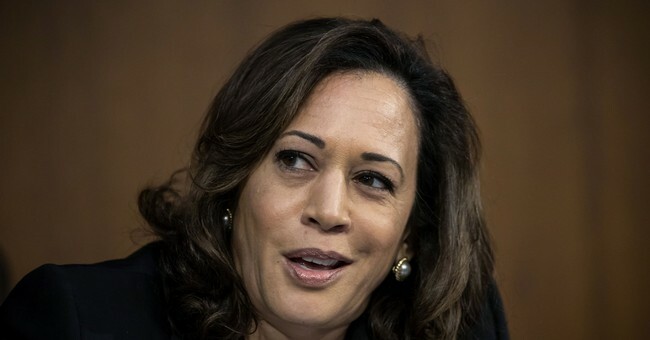 Former San Francisco Mayor and Assembly Speaker Willie Brown used his weekly column in the San Francisco Chronicle to talk about his extramarital affair with Sen. Kamala Harris (D-CA) that took place more than 20 years ago. The affair is something that is common knowledge amongst political insiders in California. What's disturbing is the fact that Brown used his position of power to launch Harris' political career. Elephant in the room: I’ve been peppered with calls from the national media about my “relationship” with Kamala Harris, most of which I have not returned. Brown appointed Harris, who was still fresh out of law school, to the Unemployment Insurance Appeals Board and the California Medical Assistance Commission, both very well-paid positions, the Washington Free Beacon reported. The two positions paid more than $400,000 over five years. According to Business Insider, Brown connected Harris to powerful campaign donors. When Harris ran against Steve Cooley in 2004 for California's Attorney General seat, her relationship with Brown was often called into question, especially because of the conflict of interest. Although Brown and Harris broke up in 1995 the two have remained political allies. Now the real question: is her connection to Brown more of an asset or a liability? Only time will tell.